ecently, while organizing my attic workspace, I came across this heart-shaped wreath hiding (hanging) behind an apron rack. I had forgotten it was there and when I pulled it out I decided it should be back in plain view. This re-discovered wreath also provided the inspiration behind this post which is all about the color lavender. Throughout this post, I’ll take a closer look at the color lavender and also share how I turned these cupcakes into lavender treats with crystalized, floral toppers. Lavender can be such a soothing color. Take a look at how serene these lavender bedrooms look. I really love the lavender, checkered canopy with matching head and foot board. As lovely as lavender looks in home decor, it’s equally beautiful when it appears in nature. I’ve never seen a lavender field in-person, but I’d love to one day. Once the lavender is cut from the fields, it’s bundled and off to market. Here’s are a few photos I found on line of freshly cut lavender. I can’t wait for the opening of the outdoor summer markets so I can pick up fresh bundles of this fragrant herb. If you love the shade of lavender as much as I do, perhaps you’ll enjoy these books devoted to all things lavender and the wonderful things you can do and make with the herb. The Lavender Lover’s Handbook This book has a little bit of everything from tips on growing lavender to recipes and craft ideas. Pretty pictures and presentation. The Lavender Cookbook You’ll find more than 90-recipes in this cookbook which focuses on how to use the fragrant herb to enhance ordinary ingredients including soups, salads, baked goods and desserts. With all this talk of lavender, I couldn’t help but try my hand at growing my own small lavender crop. I think it would be pretty cool to make my own lavender-filled sachets with a home-grown supply of lavender. We’ll see how this works out. The planting instructions recommended 8-seeds in the soil every 15-inches. I can barely see these seeds let alone count them individually. In case you didn’t already know, lavender seeds are about the size of an ant. I’m sure there are more than 8 seeds in each of these little square, germinating pots but we’ll see how well they do. I’m still keeping an eye out for full-fledged lavender growth but after about six weeks in the soil, only a few sprouts have made an appearance so far. Ever the optimist, I’m still hopeful that I’ll have a small lavender harvest later. Meanwhile, is there anyone who can resist lovely lavender pansies? Did you know that lavender pansies can be used for much more than just landscaping? While pansies look great in the ground, fresh pansies can also be used as cupcake toppers. First, bake a batch of cupcakes and allow to cool completely. Grab some whipped icing (store bought is good) and add a very small amount of food coloring. When it comes to food coloring, a little goes a long way so start with just a dot and mix to test to the shade. Add more coloring if needed. Remember, you can always add color but you can’t take it away so always use small amounts at a time. Pinch a few of the pansies off the stems and gently clean the bottom of the flower with a wet paper towel. Use a pastry brush to carefully brush a small amount of egg white onto the petals with egg whites. 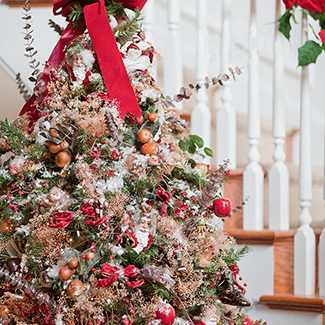 NOTE: Raw, uncooked egg whites can pose a health risk if consumed so it’s a good idea to use pasteurized egg-whites for this step since this decoration will come in contact with food. Pasteurized egg whites come in a small carton and can be found at any grocery store next to the regular eggs. Sprinkle a small amount of fine sugar over the petals. The sugar will stick to the egg white and crystallize. Pansies have a mild, minty-like flavor and unlike many other edible flowers, the entire pansy is edible. NOTE: Not all flowers are edible so make sure you double check whether or not they are safe for human consumption. Also, never use pansies that have been sprayed with chemicals or pesticides. I think using a pansy as a cupcake topper creates a lovely (and quite unexpected) presentation. Imagine how pretty these cupcakes would look on a dessert table. As you can see lavender can inspire just about anything from home decor to gardening to cupcake toppers. oh my, beautiful! lavender IS a soothing color. these cupcakes look wonderful. You have reminded me of my childhood, the lavender my grandmother grew on her farm and the many lavender-colored pieces of clothing she wore and I admired. Fortunately I can now plan to bake and taste your beautiful cupcakes and relive these memories, at my choosing. excuse me for my english !!! it’a an english school!!!! comme çà vous pourrez voir de vos propres yeux de la vraie lavande !!! What lovely photos Lisa. I love the colour lavender, but have never been a big fan of the smell, I find it too overpowering, it doesn’t seem to sooth me the way it does others. How can anyone not love lavender! I especially like the photos of the fields. Beautiful! I bet the bees enjoy it, too. 🙂 See you around BYW2! The sugar on those flower petals is a FANTASTIC idea! Thanks! Your blog is amazing, so much to see and to do, so much inspiration! Great to meet you in BYW2! I love lavender and luckily we also have some in our mini garden! The idea of the frosted flower is so sweet! I will remember it! Hi Lisa, Your blog is so pretty and rich, so full of goodies. Lavender icing?? That’s a first for me, but so pretty! love me some lavender. color, smell, the whole thing. Gorgeous and soothing lavender post! I especially love your idea of crystalizing the lavender flowers as cupcake toppers…so beautifully photographed, too! Lovely! So nice to meet you through BYW 2.0! Thank you for your lovely comment and for popping by my blog :-). Love your lavender blog post and funnily enough I’ve just sat down after making some cupcakes and topped them with crystallised pansies…what a coincidence! I look forward to connecting with you on the BYW course. Beautiful presentation of lavender. I just can’t get enough of it’s soothing scent. Beautiful cupcakes and a lovely post.